When you have decided that you need a professional website that represents you, you must carefully choose the right company that will translate ideas into a successful project. Royalty, web design company in UE, due to their experience in programming can help you to create a new image for your business. Our engineers are experts in computers and they build dynamic websites with online management and complex web applications for different industries. To get a high quality website this must be unique in terms of design, intuitive and easy to use, with friendly graphical and complex functionality. As a site is more complicated to access and navigate, the visitors quickly leave him, without returning. The main benefit of an accessible website is to increase its utility and increase sales and visitor numbers. A website that is accessible to users automatically is accessible to search engines too. As a result the site will get a greater page rank. 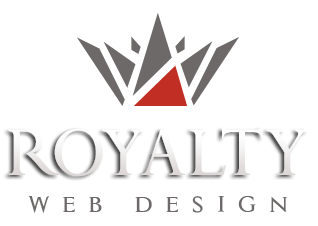 All web projects made ​​by Royalty respect onpage SEO principles and have guaranteed increased results in search engines. When approaching a web design company you need to know what kind of website best suits your business. To make this decision, our company provides a free consultancy to obtain a good quality -price value.